Tooth-coloured dental fillings, or white fillings, are known as composite fillings and are made from a putty-like resin-based material that can be moulded to the exact shape of the tooth and set using a visible blue light. This filling can match with the natural color of your teeth for an aesthetic restoration and it contains no mercury, avoiding all the cons that this treatment had in the past and making it more reliable. 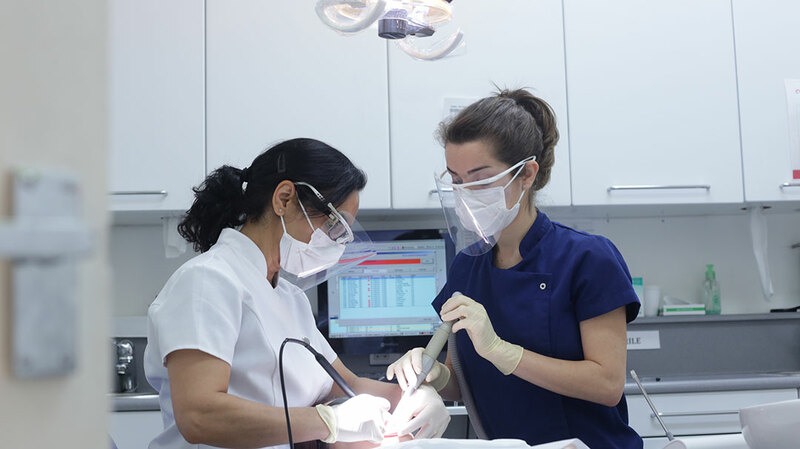 Your ideal dental filling could vary depending on which tooth needs to be filled, how much it can be seen, how heavy the bite is in the area, how big it is and how much remaining tooth structure is available to support the filling. These tooth fillings are lifelike and long lasting. White dental fillings are currently the most popular cosmetic dental procedure.